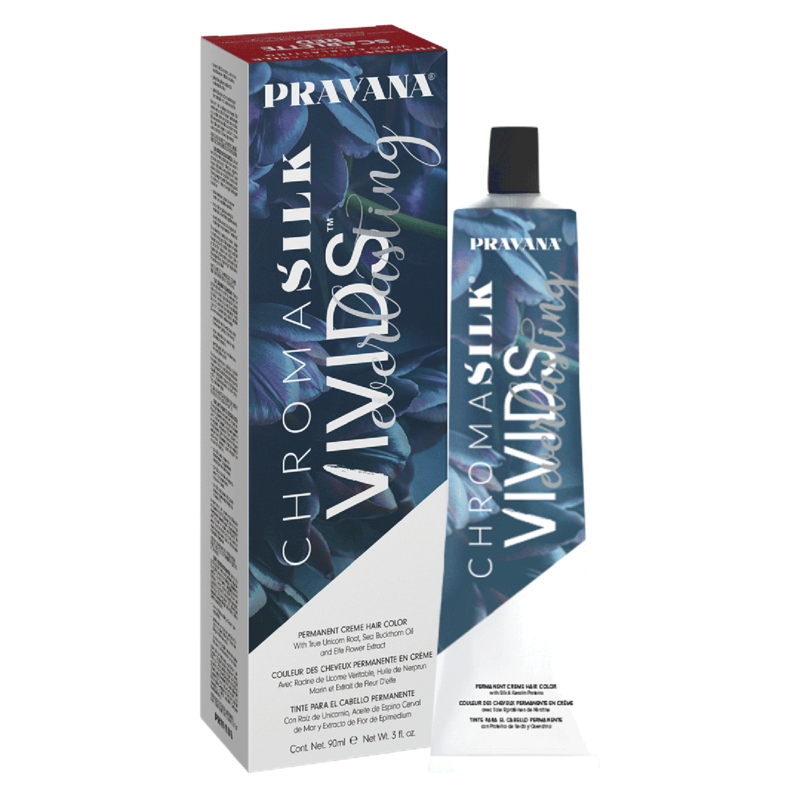 VIVIDS Everlasting is Pravana’s next evolution of hair color that bridges the gap between permanent creme hair color and direct dye. Use alone, intermix with each other or with any ChromaSilk Permanent Crème hair color for beautiful, creative options. No need to deposit with high lift developer. Use 10 volume for maximum deposit or 20 volume for lighter, brighter results.